Minimal One Page collaboration by brothers Theo and Michell van Beurden, who have curated a list of books on graphic design (and typography). What at lovely touch how the thickness of each book (which is outputted by a CMS) is illustrated dynamically based on the book’s number of pages. 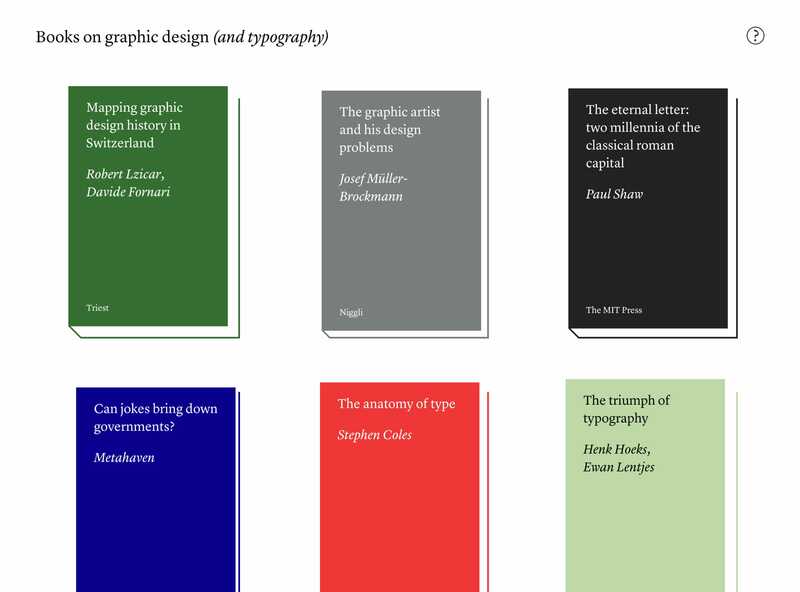 Books on graphic design (and typography) is an independent selection of books on graphic design and typography, curated by designer Theo van Beurden. Each book has been individually selected and manually added to the list, which is subject to change. Books are occasionally added or removed. Under the motto “don’t judge a book by its cover”, the format focuses on the title, author, publisher and volume of the books.